The Mekong Tourism Coordinating Office (MTCO) is administered out of the offices of the Department of Tourism of the Ministry of Tourism and Sports of Thailand, based in Bangkok, and was established with funding from the six governments of Cambodia, China,Laos, Myanmar, Vietnam, and Thailand, which represent the Greater Mekong Sub-region (GMS).The office is staffed and overseen by the Executive Director, and supported by the Operations Manager. The staff is guided by the GMS Tourism Working Group (TWG), which is made out of senior representatives of the NTOs of the six member countries. The MTCO gives the opportunity to interns to gain valuable international tourism experience, based on qualification and need. 2) Marketing – To promote the Mekong region as a single travel and tourism destination. The new GMS Tourism Marketing Strategy 2015-2020 was launched in 2015. For free download please visit MekongTourism.org. Inbound tourism in the GMS has been one of the fastest growing destinations in the world. Between 2004 and 2006, the number of tourist arrivals, based on thePATA studies, increased by 26%, with an impressive 61% growth for Cambodia and 55% for Yunnan and Guangxi together. The strategy is comprised of 7 core programs: (1) marketing; (2) human resource development; (3) heritage conservation and mitigation of negative impacts; (4) pro-poor tourism; (5) private sector participation; (6) facilitation of travel, and (7) tourism development in priority zones. These core programs are divided into 29 projects including 16 thematic projects and 13 geographical projects. To support multi country tourism in the GMS by stimulating demand from high yield markets through appropriate product development and joint promotional activities. To upgrade the skills of tourism managers and tourism trainers to ensure that the strategy can be implemented and that the tourism institutions deliver quality training so that qualified staff is in place to face and manage tourism demand from high yield markets. To promote higher standards in the management of natural and cultural resources to maintain the value of what are the core tourism assets of the GMS; To strengthen socially responsible practices necessary to limit the negative impacts which uncontrolled tourism growth generates. To promote patterns of tourism development that help reduce the incidence of poverty and increase economic opportunities and incomes for the poorest through their empowerment. To facilitate private sector participation and partnership in planning, investment and marketing. To jointly plan and develop tourism infrastructure throughout the 13 identified GMS priority zones and to better spread the benefits of tourism. Key challenges over the next ten years will be to maintain sustainability and develop high yield quality tourism. This action endeavors to secure the first foundation of the GMS Tourism Sector that will allow the GMS countries to optimize the benefits from tourism for its human and economic development while preserving the cultural and natural assets, which are assets that are its main capital for the long term. For free download please visit MekongTourism.org. In 2013 the GMS welcomed 51.7 million international tourist arrivals, representing a 3% share of the global market. Over 60% of international visitors originate in Asia and the Pacific, led by the PRC, Japan, Malaysia, the Republic of Korea, Thailand, and Viet Nam. In 2013 the PRC was the first or second largest source market in Cambodia, Myanmar, Thailand, and Viet Nam, and the third largest source market in the Lao PDR (Table 4). Thailand was the top source market for the Lao PDR and Myanmar, and visitors from Viet Nam formed the largest share of international tourist arrivals in Cambodia. Long haul source markets from Europe comprise approximately 20% of international tourist arrivals and those from the Americas about 7%. 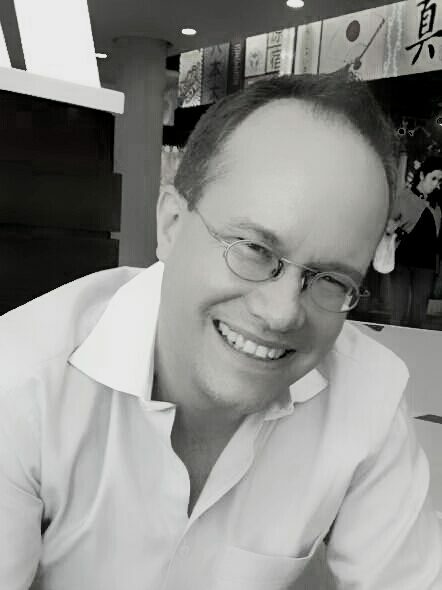 Jens Thraenhart was appointed by the tourism ministries of Thailand, Viet Nam, Cambodia, Laos, Myanmar, and China (Yunnan and Guangxi) to head the MTCO as its Executive Director. The MTCO is a collaborative effort between the six governments of the GMS countries to promote the Mekong region as a single tourism destination, and foster responsible tourism development in the Greater Mekong Subregion. Jens Thraenhart is founder & president of Digital Innovation Asia (DIA), an initiative endorsed by the UNWTO, ASEAN, and PATA, as well as NTOs in Asia, building digital capacity from social to mobile in the travel and tourism industry in Asia Pacific, including innovative initiatives such as E-Tourism Asia Boot-Camps and Awards, as well as Blogger Match-Up. He also founded China Travel Trends, as well as award-winning China digital marketing firm Dragon Trail in 2009, and has led marketing and Internet strategy teams with the Canadian Tourism Commission and Fairmont Hotels & Resorts, and has consulted for many global companies, most recently for Swire Hotels, Dusit International, and HMD Asia (Shinto Mani Hotel Siem Reap, Cambodia). While at the Canadian Tourism Commission, he founded the Canada-e-Connect Strategy Conference (2007), the Canadian e-Tourism Awards (2007), the Canadian e-Tourism Council (2006). Passionate about story-telling, he co-founded the Tips From The T-List book and blogging community (2007), and created Blogger Match-Up (2013), an innovative blogger outreach model to bring top digital self publishers and influential citizen journalists to Asia and match them up with travel and tourism organizations. Educated at Cornell University with a Masters of Management in Hospitality, Mr. Thraenhart was recognized as one of the travel industry’s top 100 rising stars by Travel Agent Magazine in 2003, was listed as one of HSMAI’s 25 Most Extraordinary Sales and Marketing Minds in Hospitality and Travel in 2004 and 2005, and named as one of the Top 20 Extraordinary Minds in European Travel and Hospitality in 2014. A UNWTO Affiliate Member (most recently part of the mission to DPRK), he has served on various boards, including HSMAI and IFITT, and is on the judging panel the Wild Asia Responsible Tourism Awards. As Chair of PATA China, he founded the Annual China Responsible Tourism Forum & Awards in 2011. A dual citizen of Germany and Canada, Jens now lives in Bangkok/Thailand.